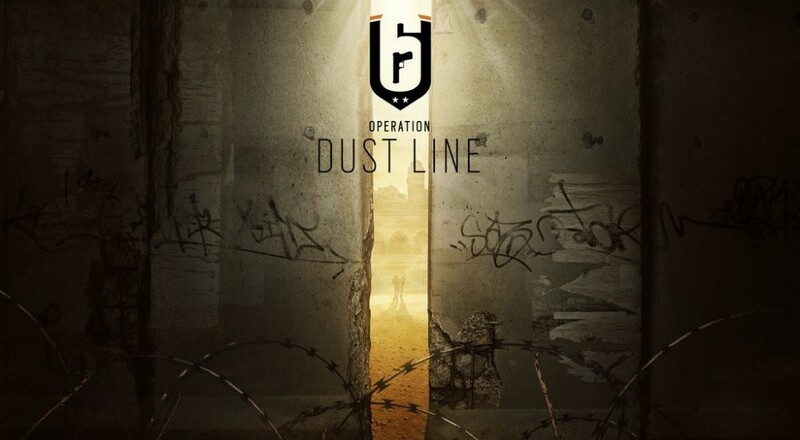 Ubisoft and developer Redstorm have released the details of the next bit of DLC, Operation Dust Line, for Rainbow 6 Siege. We knew that two new operators, Blackbeard and Valkyrie, would be added with this content, and in a live stream last Friday, it was revealed a new map, Border, will be included as well. Set in the Middle East, Border will be similar in size to one of the existing maps, Hereford Base, and also proudly claims the title of "the most destructible map ever seen in Tom Clancy's Rainbow Six Siege," as decreed by the developers. As a quick refresher about those two new operators, Blackbeard can attach a shield to his primary weapon to allow him to absorb some hits while going on the offensive, and Valkyrie can deploy four sticky cameras around the map to get a good picture of what's going on with the enemies. All of this will be accessible in the co-op terrorist hunt mode. Anyone who has already purchased the Season Pass for Rainbow 6 Siege will be able to play Valkyrie and Blackbeard on May 11, the same day the new Border map will go live. For everyone else, the characters will be unlocked on May 18.